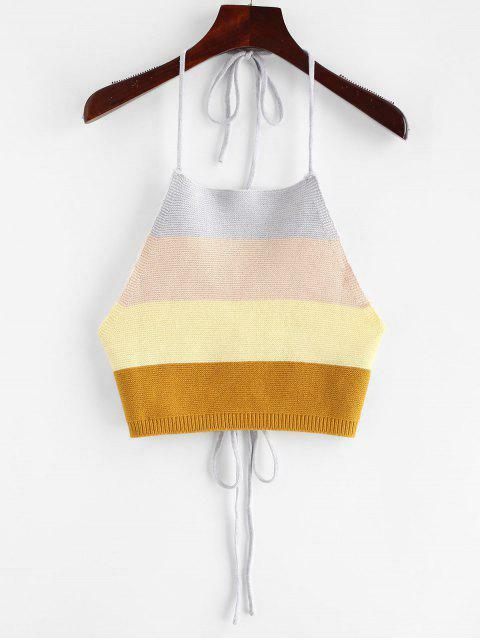 [23% OFF] 2019 ZAFUL Tied Color Block Knitted Tank Top In MULTI | ZAFUL ..
Love it. It looks stunning. Super cute. 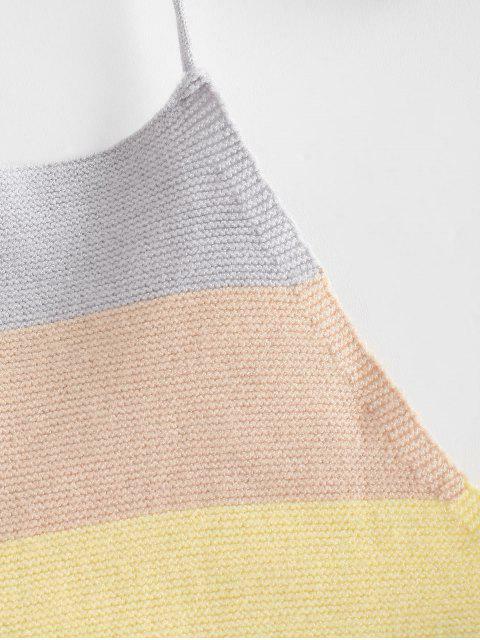 Comfortable and of fantastic material. 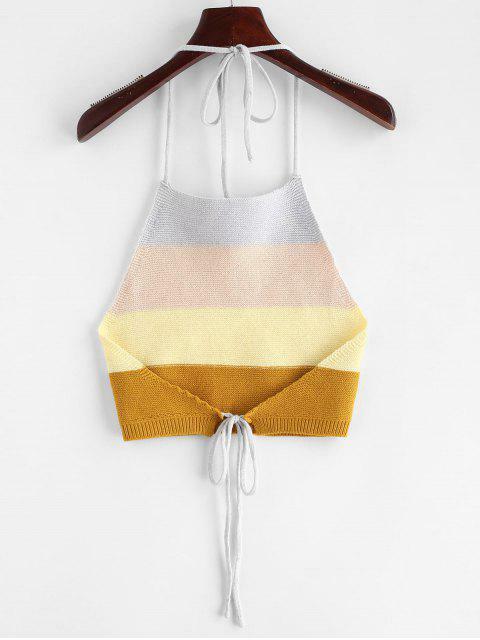 Sweet and sultry, this halter knit tank top is contrasting with the striped color-block design and flirty with the open-back design that is ended with the tied closure, which is the cropped piece that can perfectly going with any high-waisted bottom to complete the look.